Digital Immortality, keeping the good guys alive. There are very few details in the news feeds about the plane crash involving pilot Moses Lelesit. I blogged about my connection to him on OurManInside.com and the post just got a comment from an African friend of his. He must have found the post via Google. I checked by searching ‘Moses Lelesit’. I know we don’t all see the same results but the top half of the first page mainly contained content I had recorded/documented with or about Moses. 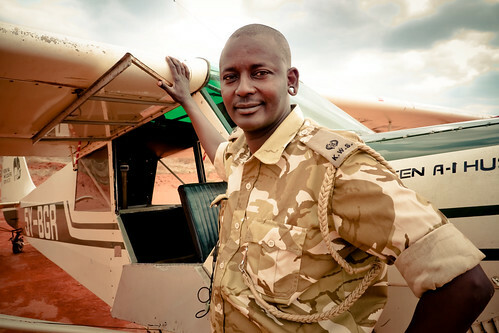 The guy did such incredible work as a ranger for the Kenyan Wildlife Service. From spotting poachers to saving lives. Both human and animal lives. I can’t help but feel if it wasn’t for the project Daren Forsyth asked me to be a part of Moses would have died with his death being his only digital footprint. I’m not sure what this means or if it’s even important but I think we should have more than a headstone to remember those that have inspired. I know digital immortality is as fragile as life itself, but it’s these stories, shared internationally, across borders and cultures that keep the good guys alive. I didn’t realise that Moses had a young family till the comment landed on my blog. I hope what I wrote is still around when his children are old enough to google their Dads name. They need to know what an amazing guy he was. Maybe someone caring enough is collecting digital tributes the same way we used to collect newspapers clipping in a memorial book, and that will be donated to the bereaved.